The Extelon racquetball racquet focuses on maintaining a lightweight design with easy grip and O3 swing speed, making it easy to power away with the racquet. The super wide body frame and its quadraform headshape are perfect for giving you room to hit and aim wherever you’d like. The HEAD racquetball racquet focuses on powerful technology in order to get the best performance possible. With a teardrop frame shape and a Hydrosorb grip, you’re going to feel comfort while gripping and hitting with the racquet. What makes this racquet special is also its Innegra high performance fiber, which is the lightest high performance material available. You’ll get control, comfort and power with this racquet. With the Gearbox racquetball racquet, you’ll get a lightweight performance power with sharp detailing. 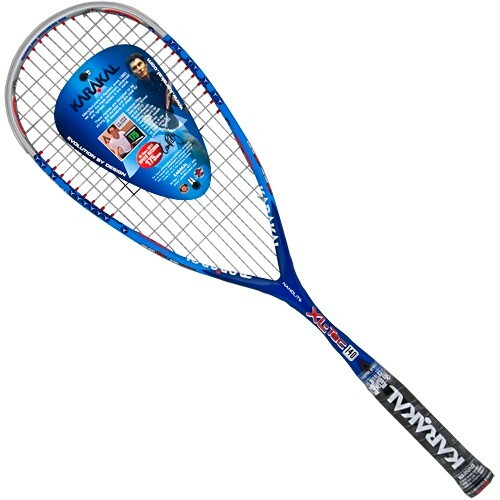 Graphite is included in this racquet in order to maintain a light weight for great play. Its ultra wide head shape is unlike any other and offers room for maximum play with insane power and room to control. Its String Dimples are another great feature made to avoid any angles or harsh strings from affecting your game. The E-Force racquetball racquets is constantly updated and maintained to keep you playing well. High Octane Boosters are added to this racquet in order to give you explosive power and center shots that shoot far out in the air. The Quadraform offers extra comfort and incredible grip for a game that is excellent. Check out these high-rated and top-performance popular racquetball racquets in order to highly improve your game speed, quality and force. You’ll see a major difference in your games and feel comfort while playing your very best no matter where you’re at.